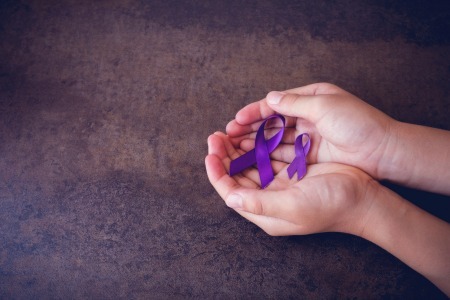 As you shop in stores this month, you may see colorful purple ribbons on shirts and jackets. October is National Domestic Violence Awareness Month, and Valley residents are wearing purple to honor survivors of this growing epidemic. Domestic violence is more pervasive than you might think. One in three women will experience physical violence by an intimate partner at some point in her life, and one in seven men will experience abuse. Two-thirds of violence against victims occurs behind closed doors at home. But that doesn’t mean it is any less visible. It pours out into the streets in the form of homelessness and displaced children and into future generations. A New Leaf’s continuum of care is a vital resource when victims escape from violent circumstances. A New Leaf operates both Autumn House in Mesa and Faith House in Glendale. There, victims of abuse find safe shelter, food, basic needs, safety planning and assistance with job placement and permanent housing. Court Advocates, who are staff specialists to help navigate the sometimes confusing legal system, help obtain orders of protection in the case where abusers make unwanted contact, stalk and make threats. Safety is paramount, and A New Leaf assists survivors as they gain control and begin their long journey of recovery. A typical victim is a mother with young children. She is economically dependent with no savings or financial resources, and her partner’s rigid control prevents her from making connections to others outside the home. Most mothers who are being controlled by their partners make a heroic effort to keep their children safe and raise them well. Yet the risk of violence hangs over them. If the mother’s partner uses physical abuse, he may directly assault the child emotionally or physically injure the child while assaulting the mother. Often it is the potential for violence against her children that compels a mother to escape the destructive relationship of an abuser. Breaking the cycle of abuse relies on raising children in environments free of violence with positive role models and a supportive, loving structure. The turmoil of a violent home can have lasting consequences for children. So it is in their best interest for a mother to exchange economic security for physical security – taking a leap of faith to become independent. It takes remarkable courage to leave an abusive relationship and start a new life with so many unknowns. •	Providing safe housing, childcare, food and other basics of daily living through a donation to a domestic violence shelter like A New Leaf’s Autumn House and Faith House. •	Volunteering your time by helping with community outreach, cleaning and painting a domestic violence shelter, or reading to children and helping with children’s programs at the shelter. •	Raising awareness of domestic violence by wearing purple during October. Valley residents will mark this month by standing firmly with the victims and survivors who are making a new start. As a community, we can step forward to end domestic violence today. All of us have mothers, sisters, daughters or friends who could, at some point, struggle with this social injustice. Your act of generosity can ripple through the lives of mothers and children to create a healthier future – and a better community for us all.